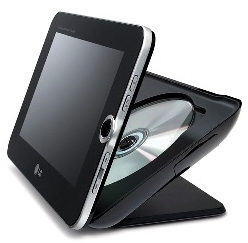 LG has launched DP889 which could be used as portable DVD player and digital photo frame. The 8″ DP889 has a 3-in-1 memory card slot and USB port for easy connectivity and memory expansion. Its internal memory will be able to store up to a 250 photos. With it’s 3.5 hours battery life and a supplied automotive and home power adapter, you can watch movies and photo slide shows anywhere. DP889 incorporates a foldable kickstand. 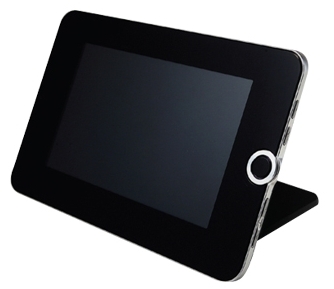 With that, it can stand on its own accord while you are viewing movies or digital photos. Besides, the DP889 supports multiple disc formats including DVD Video, DVD±R, DVD±RW, Audio CD,CD-R, CD-RW, JPEG CD as well as MP3 CD. It is available in the market at only US$279.95.